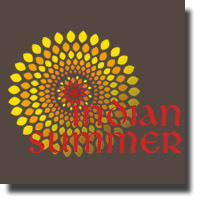 Another summer festival has been added to Vancouver's very busy summer cultural activities: the first annual Indian Summer, an international festival of arts and ideas showcasing top talent from India - music, dance, literature, film, cuisine, yoga and wellness. The festival celebrates the official 'Year of India in Canada' and Vancouver's 125th anniversary. I went to see the Dr. L Subramaniam & Ensemble Concert at SFU Woodward's Goldcorp Centre for the Arts last July 9th. Subramaniam is considered India's leading violinist, and is hailed as the Paganini of Indian classical music. His music is referred to as the South Indian Carnatic style. There were traces of western influence in his performance. I would say it was a mix of western and eastern. The violin itself is western, and the music was improvised (he himself referred to "improvisation" all throughout, and mumbled some numbers I couldn't understand because his voice was too low and inaudible). But what I caught was that this is traditional in Indian music, the improvising, that is. Also, there is that certain repetitious harmony, or better still, atonality, to Indian music. This is typical in all types of Eastern music: that atonal repetitiveness, similar to the Hari Krishna chants, or even more predominant in atonality, Chinese music. What went through my mind as I heard him play was sometimes he would go into a somewhat barn dance fiddler's mood, and I could imagine cowboys and cowgirls doing a line dance. At times, his fiddling would go slow, unharmonious, almost dizzy-like, as though trying to hypnotize a cobra coming out of a basket. All in all, it was somethng different from the Shankar sitar music typically characteristic of Indian music. From his bio, this artist has performed with such orchestras as The New York Philharmonic and the Berlin Opera, and he has played with Yehudi Menuhin, Stephane Grapelli, Herbie Hancock, Ravi Shankar and George Harrison. This is his first time performing in Vancouver.